The name seems to derive from "Bardi", the name of the ancient inhabitants that once occupied this Lombard area. Municipality in the province of Turin, it is located in the Susa Valley, at the most Western point than any other town in Italy. It is situated at the center of four major valleys: the one of the Rho, the Stretta , the Frejus and the Etiache surrounded by mountains that reach up to 3000 meters above sea level, and is fully equipped with Winter sport facilities such as ski lifts and hiking trails. Near Bardonecchia is located the artificial Lake of Rochemolles, were numerous streams merge, including the one of Rochemolles, the stream of Frejus, the Rio Chatelarded and a tributary of the Dora Riparia river that flows not far from the town. 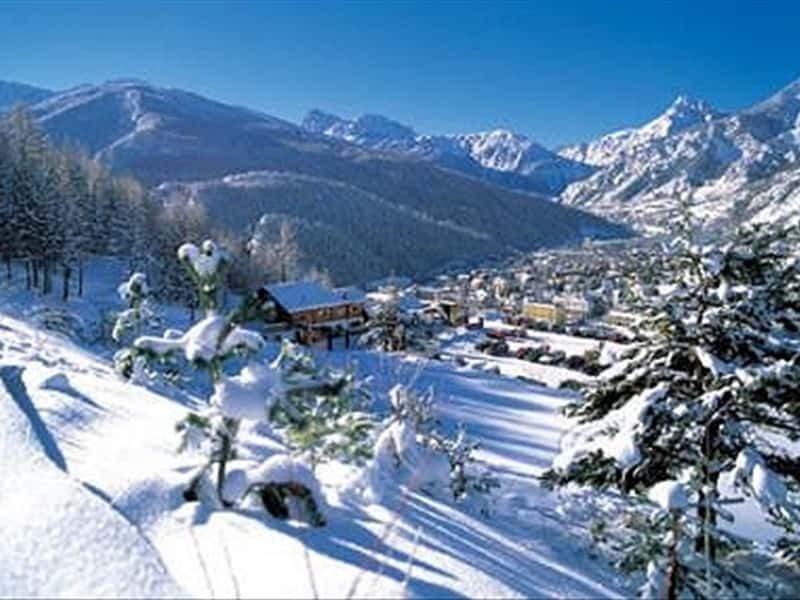 The relatively mild climate and the characteristics of the territory make of Bardonecchia a popular tourist destination. In the XIX century the area submitted an important property development and many villas and prestigious hotels were built, decorated by wonderful gardens. It seems that in this area there was a dry lake reclaimed in the X century by the Saracens. The present findings show that the area was inhabited by Celts, and later it was mentioned in an official document as a territory under the jurisdiction of the Abbey of Novalesa. After the conquest by the Saracens, expelled at the end of the first millennium, the County belonged to Turin. The town was then subject of dispute between the Counts of Savoy and the Counts of Albon: the latter triumphed in the XII century and gained the domain. In the XIV century it became a French fief. until it passed to the Duchy of Savoy, the French returned in the late XVIII century, and then it returned to Savoy after the fall of Napoleon. - the Parish Church of St. Ippolito. Of the original structure remains only the Romanesque style stone tower, enriched with a mullioned window, dating from the XIII century. The present structure, built in the first half of XIX century, replaced the old church called Santa Maria ad Lacum. The elegant and sober façade is embellished with columns and topped by a pediment. Inside fine works of local crafts, paintings and wood carvings dating to the period between the XV and the XIX centuries and a XVI century baptismal font. - the fortress of Bramafam, an ancient fortress, now a museum. - the Palazzo delle Feste, a valuable Liberty-style structure built in the early XIX century by architect Ceresa. - the Church of Sant'Antonio Abate in Melezet preserves a series of XVI century frescoes. - the XV century Chapel of St. Sixtus in Melezet. - the Chapel of Notre Dame of the Coignet in Les Arnauds decorated with XIV century frescoes. - the Church of Rochemolles, which preserves a lectern, a cross and holy water basin of the XVI century. - the Chapel of St. Andrew at the Grange Horres of the XIV century and is decorated with exquisite frescoes. This town web page has been visited 14,154 times.